A decline in impulse purchases has potentially bad long-term consequences for sales of packaged snacks, a Euromonitor analyst said in a recent webinar. 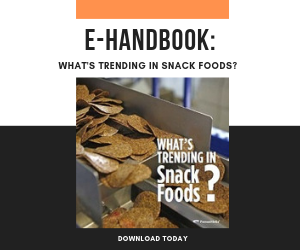 In the webinar, “Meeting the Needs of the New Age Snacker,” Jared Koerten, industry manager of food and nutrition, said two trends are depressing impulse purchases inside supermarkets: less interest in the center store, and fewer visits to brick-and-mortar retailers overall due to increases in e-commerce. The center-store area and the checkout stand are the two areas in conventional supermarkets where impulse buys occur most often. As a result, shoppers, especially younger ones, make fewer impulse purchases. Those agreeing with the statement “I often make impulse purchases” dropped from about 27.5% in 2013 to about 23% in 2017. Similarly, those saying yes to “I regularly buy myself small treats because I deserve them” went from about 36% in 2013 to about 31% in 2017. Koerten identified e-commerce as a growth area for snack purchases. It currently has only about a 3% share of sales, but its annual growth for the last five years is more than 20%, roughly four times that of traditional retail channels. Another factor, Koerten said, is that when shoppers do want to indulge, supermarkets are increasingly offering fresh alternatives to packaged snacks, such as baked goods. He recommended that snack makers step up their online retail strategy and take more creative approaches within traditional retailers.